NRR 24 for most noisy environments. NRR 4 when you need to communicate or hear. No need to remove earplugs with Flip cap. Triple flange design provides all day comfort. Pocket-Pak carrying case provides hygienic storage of plugs between uses. Comes with optional cloth cord. All Moldex hearing protection is independently tested. 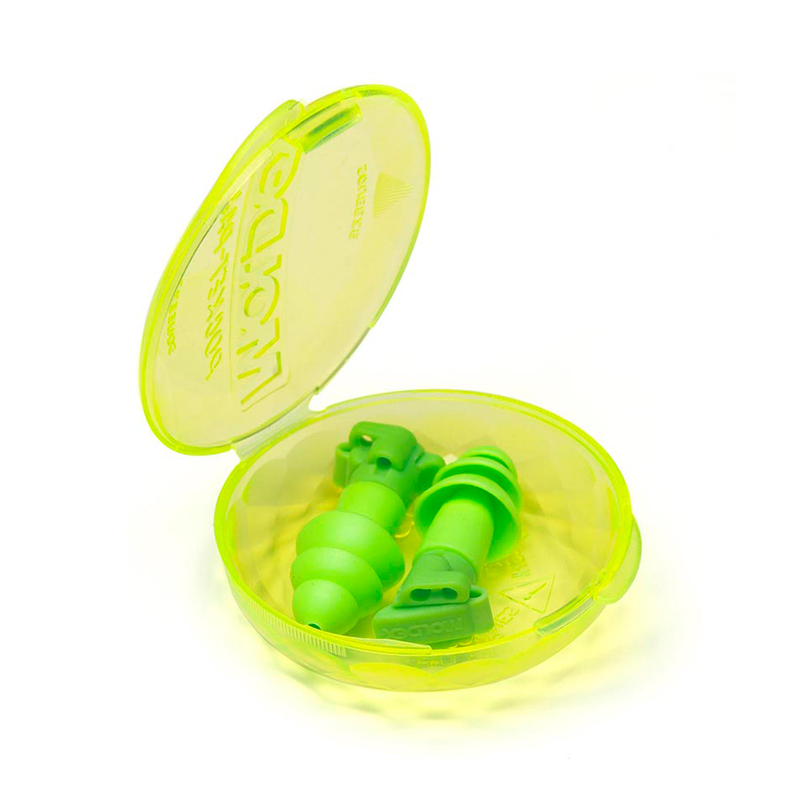 Flip to Listen are the first dual mode earplugs that not only protect wearers from noise but, with a quick Flip, also allow better communication when needed, without the inconvenience of removing earplugs.gs. The Flip cap allows you to easily switch from a closed position (NRR 24dB), for protection from continuous noise, to an open position (NRR 4dB), when you need to communicate or hear. Effective hearing protection for most noisy environments, plus the ability to hear more clearly away from the workplace. All without taking out your earplugs and having to refit them again. Flip to Listen features a triple flange design that provides maximum comfort for all day wear. 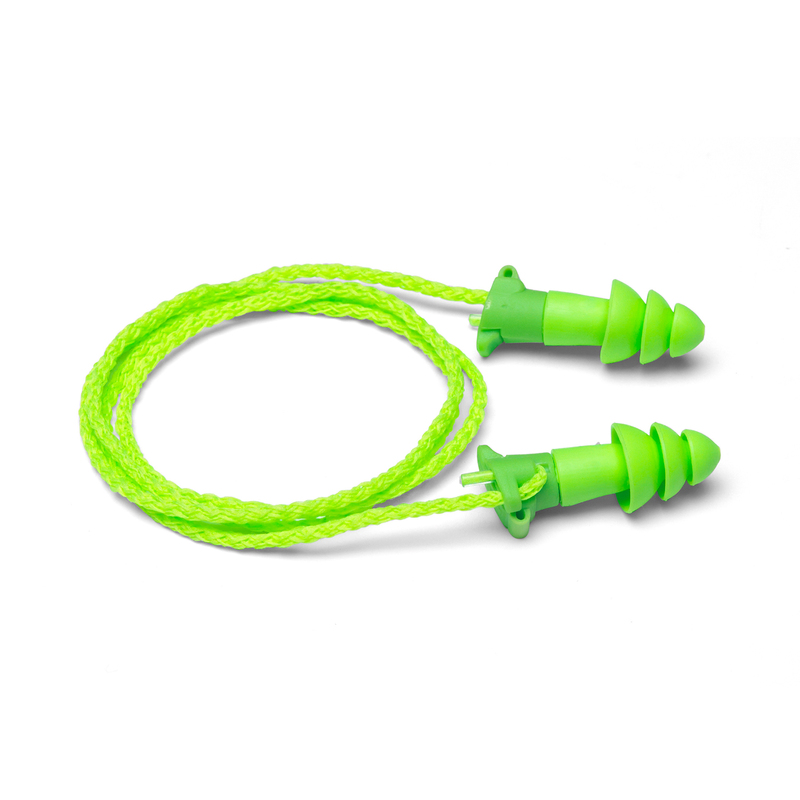 The soft flexible flanges provide a superior seal and fit most ear canals. The Flip to Listen stem helps you insert the earplug into the ear canal to get a good and secure fit, ready for protection and communication! 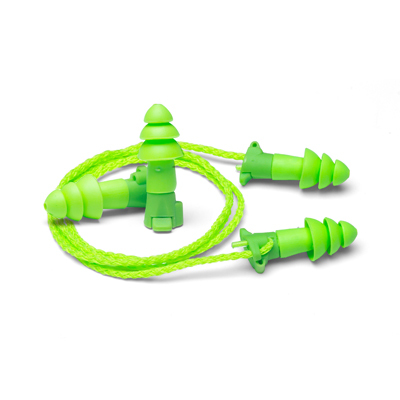 Flip to Listen earplugs can be easily washed and reused. Each pair comes with a Pocket-Pak® carrying case to keep them clean when not in use, plus an optional cloth cord.